Need more space without expensive and time-consuming construction? Why not use your overhead space instead of building new? OSHA compliant mezzanine kits are a cost-effective, fast, and easy way to use your vertical storage space. Add a second story without making any structural changes to your building and double your storage capacity in the same footprint. 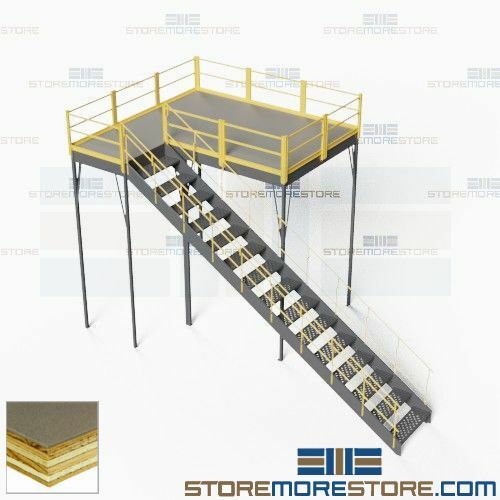 Each mezzanine kit includes OSHA compliant guardrails, stairways, and decking at the fraction of the cost of new construction. Choose from bar grating, perforated steel grating, anti-skid grating, or solid steel grating decks. Since all components meet OSHA health and safety standards, making them ideal for warehouses, construction, machinery, factories, and other heavy-duty private businesses. 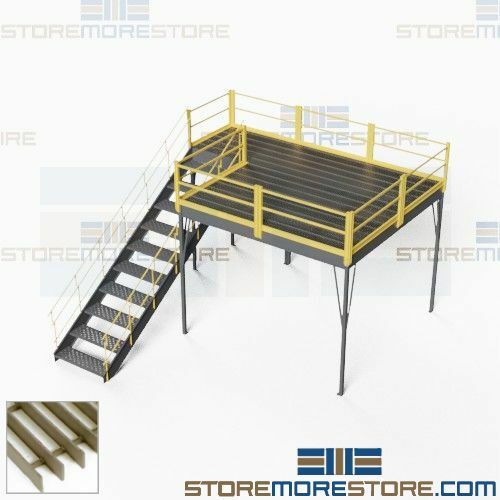 OSHA compliant mezzanine kits are available to buy online and ship within 21-25 business days with free dock-to-dock shipping included. If you need any assistance or just want some help picking the right solution for you, please call us at 1-855-786-7667.